SierraPine flame retardant Medite® FR is made with a synthetic resin adhesive system and is designed for critical applications where Class 1 flame retardant material is required. Medite FR has a low flame spread and smoke development as well as extremely low VOC emissions. During the manufacturing process, the flame retardant additive is blended with the fiber throughout the panel. This process delivers superior performance versus topical flame retardant applications. In addition, Medite FR can be machined, cut, sanded, and grooved. Awarded CARB NAF Exemption due to formaldehyde-free adhesive system. Meets CARB ATCM 93120 Phase 2 emission requirements. 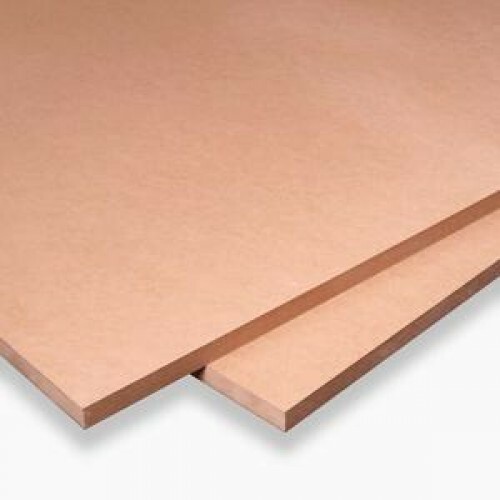 Industrial Grade Medium Density Fiberboard (MDF), manufactured with a formaldehyde-free adhesive system and certified as a Class 1 Flame Retardant panel in accordance with ASTM E84-09 and CAN/ULC-S102M to a Flame Spread of 25 or less and Smoke Developed of 50 or less. “Medite” is a registered trademarks of SieraPine.